Mr Bond...James Bond. Both hands on the wheel, Mr. Jones, I'm a very nervous passenger. HD Wallpaper and background images in the Colin Morgan club tagged: colin morgan merlin bbc merlin. This Colin Morgan photo contains business suit, suit, and suit of clothes. There might also be two piece, two piece suit, lounge suit, dress suit, full dress, tailcoat, tail coat, tails, white tie, white tie and tails, and three piece suit. 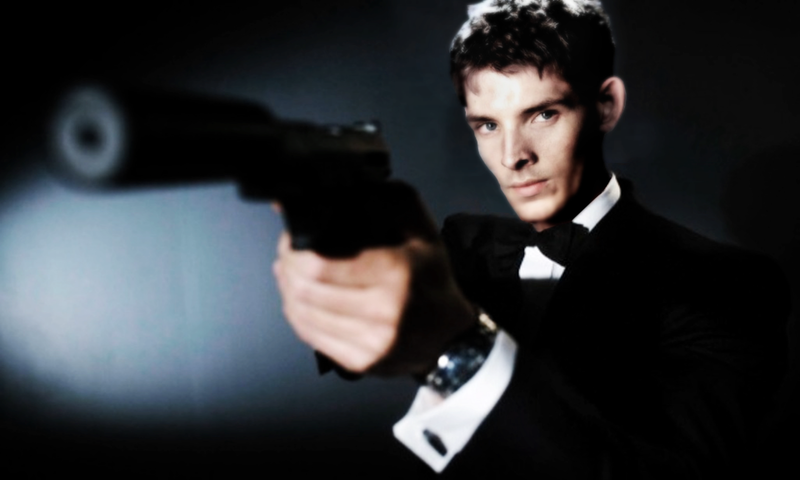 Colin - plz marry me? 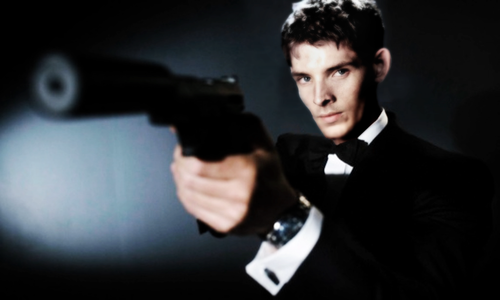 I like your gun, Mr Morgan!